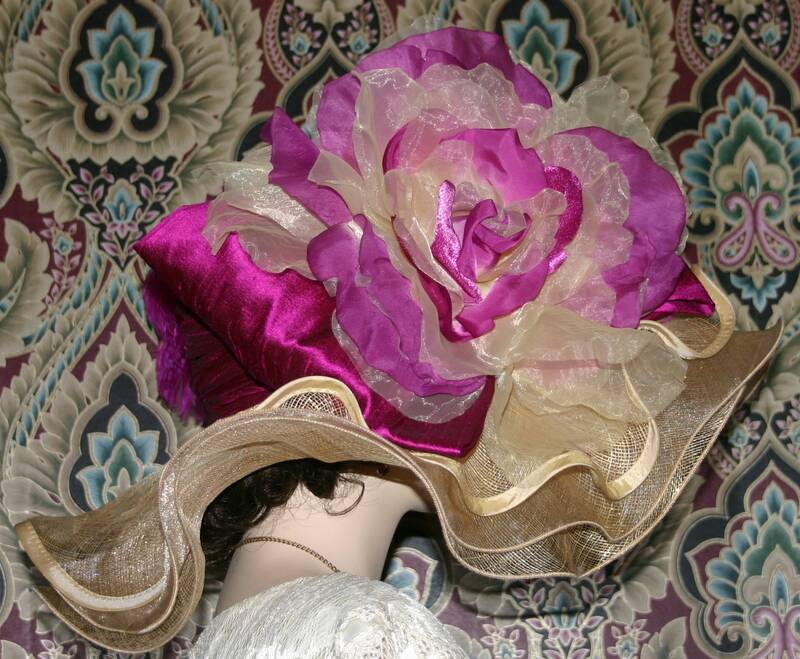 Kentucky Derby Hat "Fuchsia Sunset" is perfect for Ascot too! 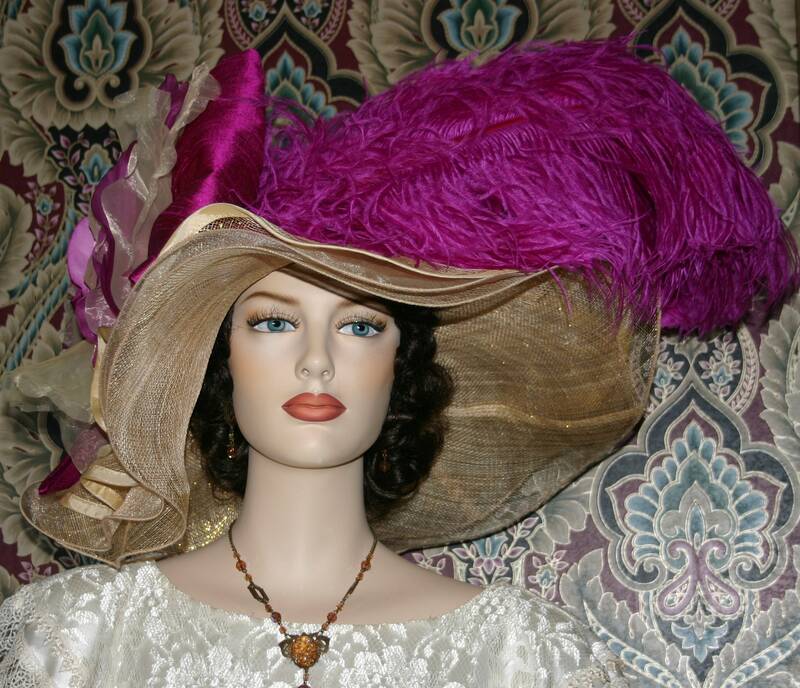 It's designed over a triple layer wide brim light tea and golden threaded sinamay hat. 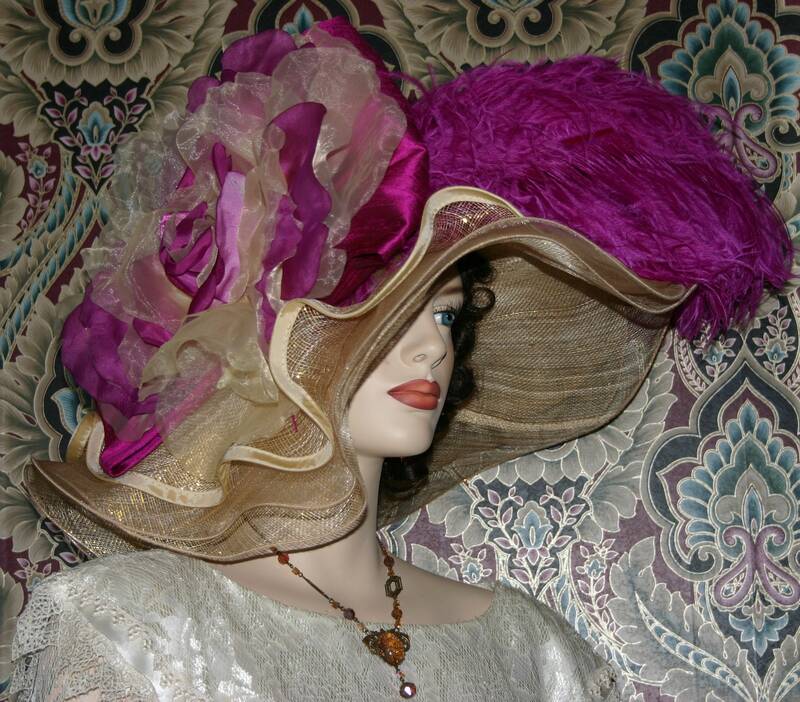 There's a huge handmade Fuchsia and pale tea millinery rose with the backdrop of a Fuchsia dupioni silk bow and hat band. 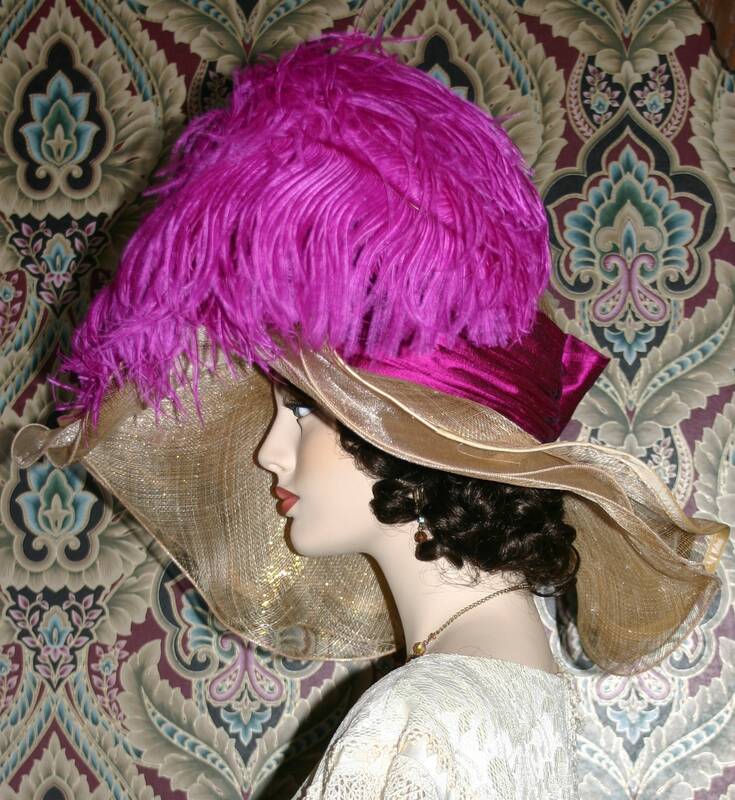 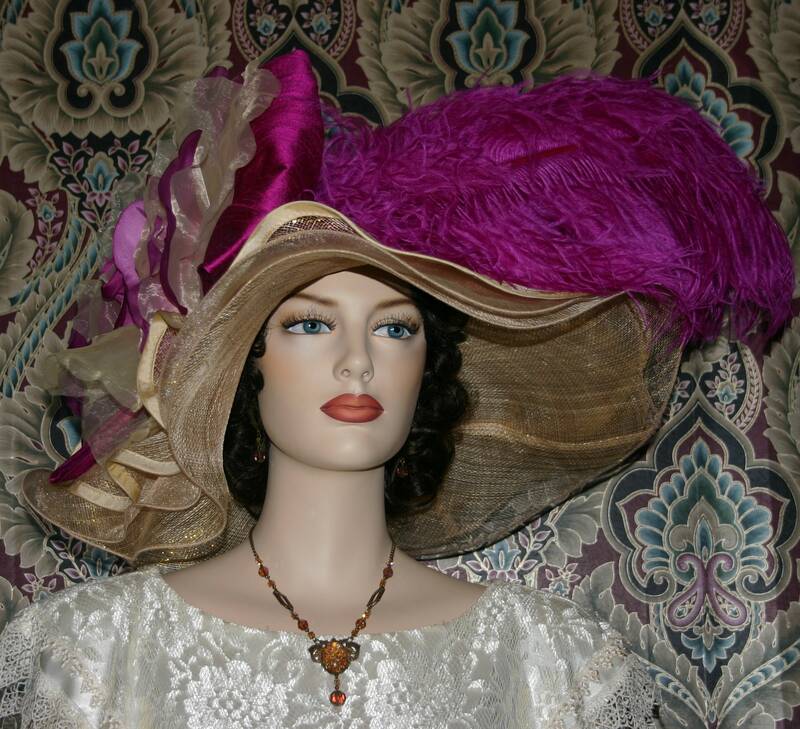 Three elegant Fuchsia ostrich plumes sweep around the brim of the hat. 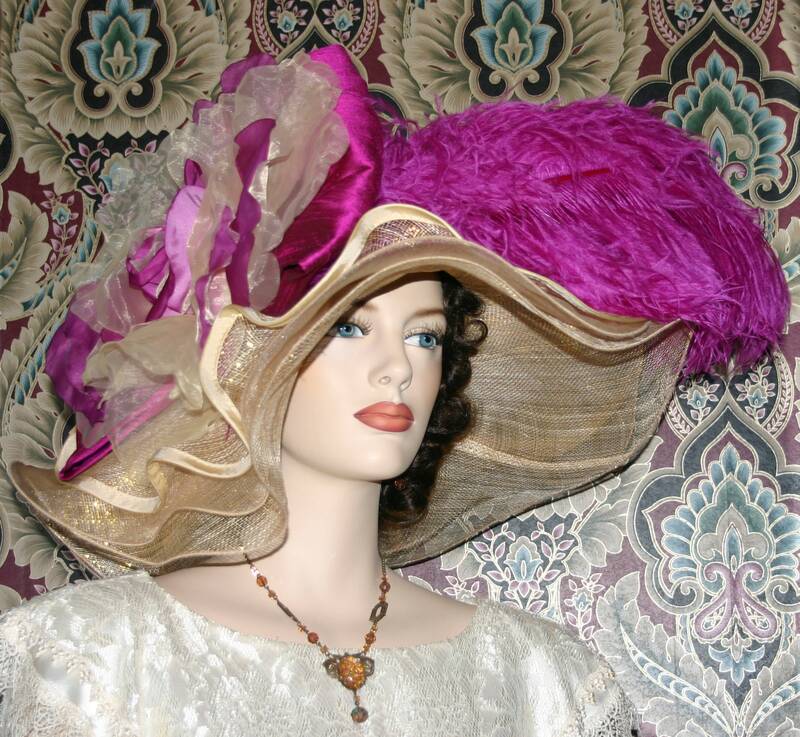 Perfect for Kentucky Derby, Titanic event, Downton Abbey Tea party, Royal Wedding or anyplace you'd like to dress fancy! 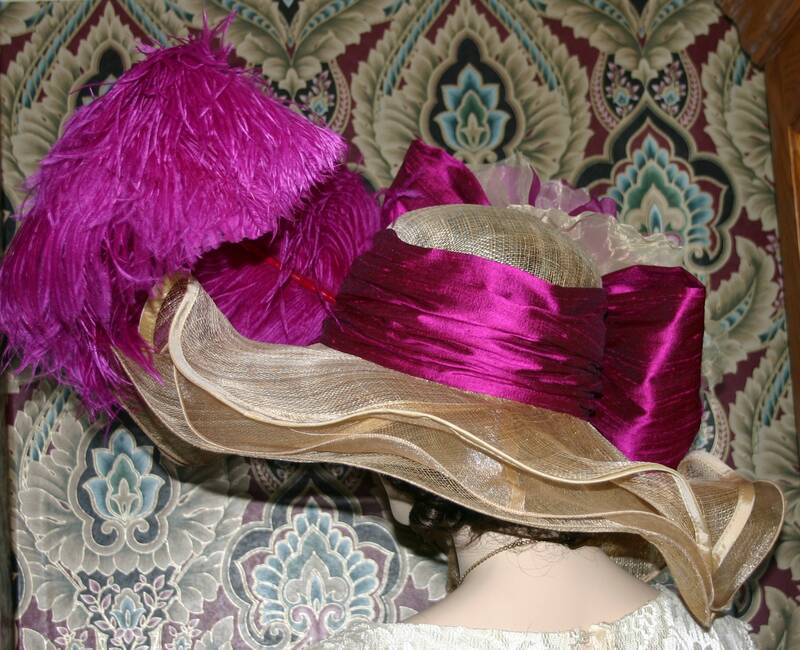 This hat measures 22 5/8 inches with a built in hat size reducer so it can easily be made smaller for a perfect fit.